As a follow up to my previous article, Best GPS Watch for Ultrarunning, here is an updated version with the latest and greatest watches. There are more options than there are days in the year, and every month it seems like a new watch is released to the market. 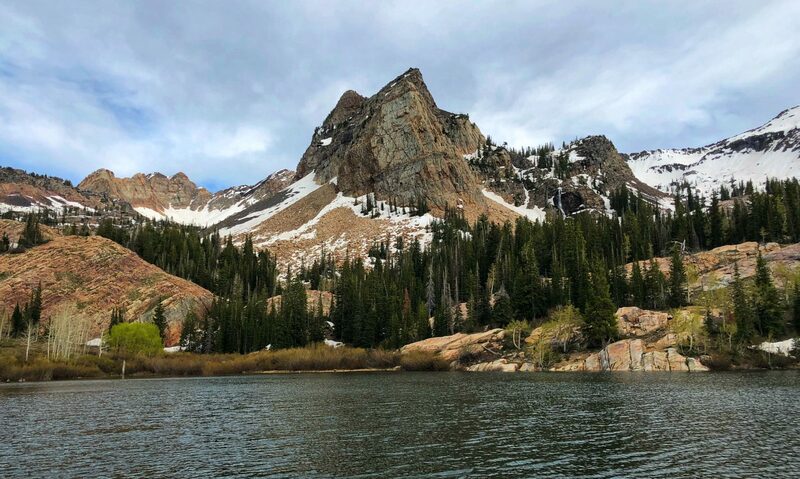 My goal with this post is to help narrow down the dizzying amount of choices, with a specific focus on ultra running. This is not a comprehensive list of all GPS watches out there, and there may be watches that aren’t on my list for one reason or another, but that doesn’t mean they won’t work for you. This is probably one of the most important features for typical ultra runners as most of the longer races (50 mile and up) will take more time than most of the GPS watches available today can handle, with the exception of elite runners. Most GPS watches on the market, regardless of brand, max out at around 8-10 hours of battery life. If you are that fast, then your options are much broader than they are for the rest of us and you may want to expand your search beyond my list below. This is important in the REALLY long races (125km+) where almost no watch can last the entire time. As it stands today, 24 hours is about the most you can expect to get out of the newest most expensive watches, despite grandiose marketing claims made by some companies. Fortunately, these watches can all be charged with a portable battery charger (like this Anker Powercore+ mini) without interrupting the activity in progress. The short but ever expanding list, in order of age from top to bottom. Some watches have been removed or excluded from this list because they have been discontinued by the manufacturer, like the popular Garmin Forerunner 310XT, Suunto Ambit 2, and Epson ProSense watches. In short, no. The original Apple Watch didn’t have a GPS chip so it relied on a connected iPhone, which meant that not only did you have to carry an iPhone, but it would drain the iPhone battery more quickly. Coupled with the dismal battery life of the Apple Watch, the lack of waterproofing (or sweatproofing), it made for a poor combination. The Apple Watch Series 2 now has a GPS chip, but still lacks the ability to track elevation so for any trail or ultra runners, this is a problem. The battery life is also very poor at less than 5 hours according to Apple. The Apple Watch Series 3 didn’t make any real improvements in battery life so it’s still not recommended. One thing that is worth noting is that if you do run with the Apple Watch and your phone, the Apple Watch will disable the GPS and use the GPS chip in the phone which does help extend the battery life by a few hours. It still doesn’t make this a great option for ultra running. Ginger Runner did a very in-depth review if you want a second opinion, but I would give the Apple Watch a hard pass for ultra running. Why can’t I just use Ultra Trac or Performance/Ultra Mode to get more battery life? All Garmin and Suunto watches offer an option to extend battery life but it comes at the cost of accuracy. The way this feature works is that instead of polling GPS satellites every second and recording the location, they poll at a longer interval (5-60 seconds depending on the selected option). If you were running in a completely straight line for 50, 75, 100 miles then this would be perfectly acceptable, but there aren’t many races done in a straight line. Generally speaking, if you use these modes, your recorded activity will be so inaccurate, you may as well have not recorded it at all. I’m currently using a now discontinued Epson Runsense SF-710 and it’s been the best watch I’ve ever used. 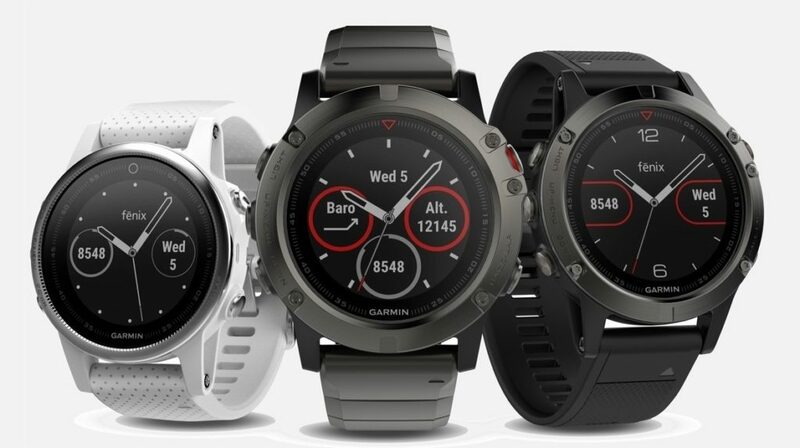 Given that I’ve been using it for a while and it’s no longer being made, I’m considering switching to a new Garmin Fenix 5X or Suunto 9, but still haven’t made a decision! So there you have it. A comprehensive list of the best watches for ultrarunning and ultra racing. I hope you find this information helpful. Let me know in the comments below if I missed a watch that you swear by for ultra running, or let me know which watch you use. Interesting to come across this article while researching various watches. I’m likely going with a Garmin, as most do for ultra marathons, however one piece to highlight as it is constantly inaccurate or misconstrued when talking about it: the iPhone and battery drain. Stick an iPhone (iPhone 7 in my case) in low-power mode, turn on Strava and you’ll easily get 24 hours of flawless GPS data. By ‘easily’ I mean, it’s around 60% battery for 24 hours. I’m almost certain going off my usage that you’d get 35-40 hours of full detail tracking. Of course, that doesn’t refer in any way to the Apple Watch and watches which your article is about! I can’t verify personally, but did manage to get a reply to two users on strava who have managed 12-hour cycle rides on an Apple Watch using the iPhone as the GPS and connected over Bluetooth and they both said they weren’t anywhere near flattening the Apple Watch battery and it hadn’t noticeably impacted the iPhone drain in the mode (I describe above but with Bluetooth enabled). So, in short, it appears as if the Apple Watch is a lot closer than most reports appear! As someone who always brings a phone on long-distance runs, if anything it’s perfect for anything in the 12-15 hour range (and possibly more if someone would ever actually test it properly). Having said that, as mentioned, I’ll still likely end up getting a Fenix but it’s likely my last of this type. The iPhone (or any phone with Strava really) is an option, but I tend to not use or recommend that for safety reasons. In the event that you need to use your phone as a phone, it would be disappointing if the battery life had been drained by using it to track your run. Of course, if you brought along a portable battery pack, then it’s less of a concern. For the Apple Watch, there is a feature most people don’t know about whereby when you also have your phone with you, the Apple Watch disables the onboard GPS chip and instead uses the GPS chip in the phone for location data. This helps extend battery life of the Apple Watch which explains the comments you referenced from Strava. That certainly helps make the Apple Watch a more viable option as you’ve noted, but I still wouldn’t consider it a serious contender as Garmin, Suunto, and others are really pushing the boundaries in battery life while Apple is trying to catch up. I do think the Apple Watch excels in other areas, particularly the latest model, but purely for ultras I wouldn’t consider one personally.